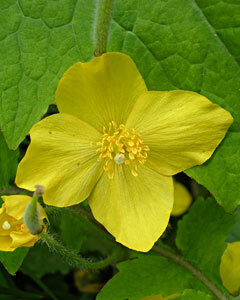 Annie's Annuals & Perennials - WICKED PLANTS & TALK! 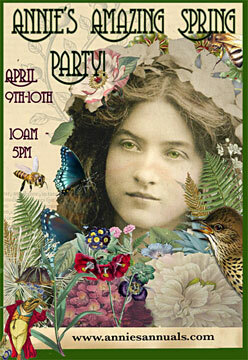 Sunday, April 10 at 11 am! Think you're safe in the garden? Think again! 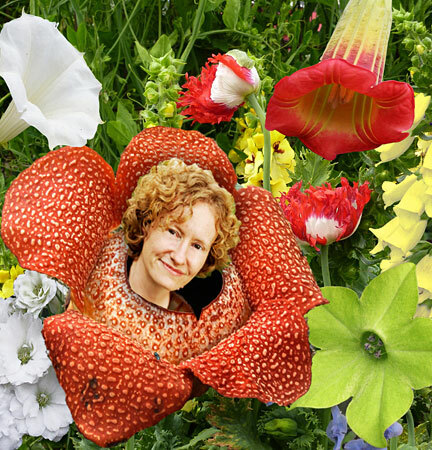 Amy Stewart, award winning and best-selling author of "Wicked Plants," honors our nursery with her presence to both intrigue us and send shivers down our spines with dastardly details of the plant world’s greatest villains! House plants that can kill you? Weeds with homicidal intent? Lawns that maim? Goodness gracious! Amy will delight us with titillating tales straight from the tabloids. As delightful as the subject material of her book is wicked, we are LUCKY LUCKY LUCKY to have Amy speak at our AMAZING SPRING PARTY on Sunday, April 10. The talk kicks off at 11 and is sure to be standing room only. Get there early for a seat!! We'll have "Wicked Plants" for sale and Amy will graciously sign your copy! Read about the most terrifying plant in the nursery - on our BLOG! And check out some of our wickedest offerings this week - but don't fret! No stinging trees that will maim you here! 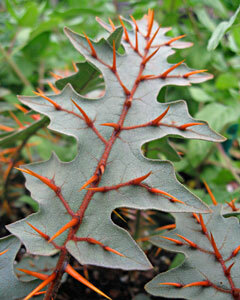 When the leaves and stems of this long flowering, dry-shade-loving plant are broken, it oozes an orangey red sap. That’s right - it bleeds! The creepiest common name of any plant we grow and rarely offered! Super charming in person - Scout’s honor! Heart stoppingly romantic in the shade garden with the potential to provoke actual cardiac arrest. Oh dear! 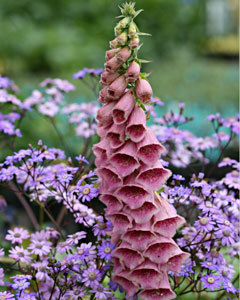 Digitalis is the source of important medicine for heart disease. Soft silver leaves and a dreadful reputation! 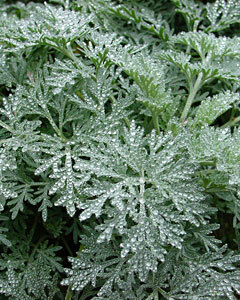 “Wormwood” is the critical ingredient in absinthe – a spirit rumored to cause insanity. After many decade, the so-called “Green Fairy” is now legal in the US. Also a wonderful and reliable addition to the low-water landscape. A wicked tomato! Out-RAGEOUS orange thorns are almost as spectacular as this plant's pretty purple blooms. Despite the common name, this one is NOT for eating. Potatoes and tomatoes may be delish, but other cousins in the Solanum clan are some of the most toxic plants on earth! Watch out! It’s said that every rose has its thorns, and that goes triple for Puyas, whose awe inspiring flowers look like they came down on a space ship and whose leaves are so thorny small animals can die trying to clamber through its mean toothiness. 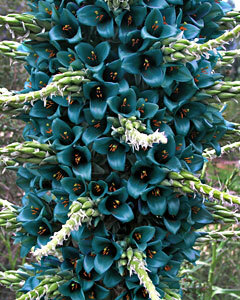 Mongo turquoise blue flowers, though?? Yeah, still worth it. Grrrr! It’s a poppy that bites! 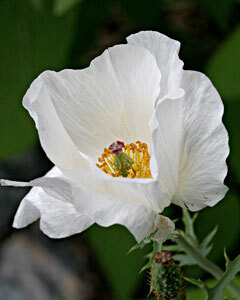 Mean leaves dressed in prickles cloak this drought tolerant member of the poppy family, whose big-honkin’ flouncy, cucumber-scented white blooms make it well worth the trouble! Plant thieves beware! Can't get enough of wicked plants? Visit The San Francisco Conservatory of Flowers for their special exhibit: "Wicked Plants: Botanical Rogues & Assassins"
Come celebrate our most joyful season and share in our own brand of silly merry-making amid our lovely gardens all a-bloom! Bring your buddies and the kids! As usual, we will have music and dancing, FREE munchies, a mega-raffle, games, contests and fun and informative talks all for you!